“I just want to have a quiet evening! Why won’t you just go to sleep?! ?” Do you ever have those nights? Maybe this is your night every night! 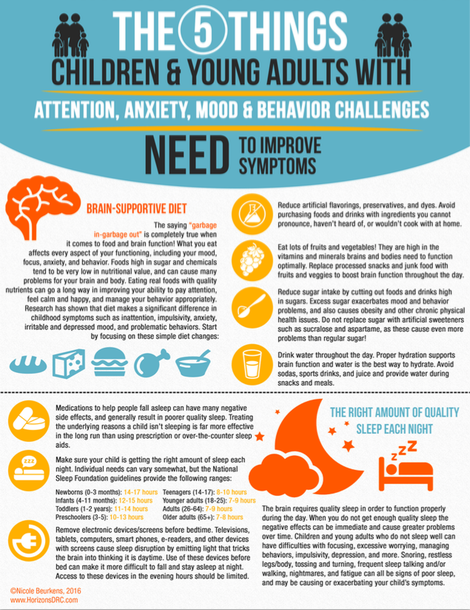 Whatever the situation, it makes life much more stressful when you are tired and can’t get your child or children to fall asleep and sleep well! Rest assured, you can have more relaxed evenings and get your household the way it was intended to be – kids in their own beds, at a reasonable time, for the duration of night. In my several years of working with families, many different situations have arisen. Keep this simple acronym in your head to ensure a good night’s S.L.E.E.P. Schedule: The most important thing you can do is develop a good bedtime routine. About an hour before bedtime (which should be the same time every night), begin calming your child with regulating activities. Maybe you would like to read books, take a walk, or play a quiet, noncompetitive game. Then go through the normal bedtime routine: get pajamas on, brush teeth etc. Once you have your child in bed, take a few minutes to help your child relax. Maybe read another book, or tell a story. Some kids calm quickly to touch, heavy pressure, or a head rub once they are in bed. Leave: Once you’ve calmed your child down and said goodnight, leave the room. It’s important that s/he falls asleep on his/her own. If your child doesn’t currently fall asleep on his/her own, you’ll love the confidence boost s/he feels once s/he accomplishes this feat. Here are a few simple steps to help him/her with this goal. Start by sitting with your child instead of laying down with him/her. The next night (or two later) sit in a chair next to the bed; then on the floor next to the bed; then near the bed; then across the room; then in the door; then in the hallway. See how you can slowly work your way out of his/her room, and in a week or two (depending on how quickly you decide to do it) your child will be falling asleep alone – and you can both feel great about it! Evict: If your child is a wanderer and tends to end up in your room in the middle of the night, bring him/her back to his/her own room. If s/he gets upset with you leaving, take the same steps as above. Again, maybe a head rub will help to calm him/her so you can quickly return to your own room – child free. Encourage: Talk to your child about your expectations, and encourage him/her to work with you to reach this goal. “I know you can do it.” “We’ll do it together.” The outcome of increased competence and feelings of success that your child will feel is worth the effort it took to get there! Produce results: Using the above steps will produce results that will make everybody happy; but consistency is key to ensuring this success. Once you’ve taken a step forward, resist the urge to return to a previous step. As the goals are attained, the entire family will sleep better – which makes for a happier and healthier home! If after using the above approaches you are still having difficulty reaching all of these goals, you can try helping your child decorate his/her room, put a tent on his/her bed (for some this adds a sense of security), or use heavy blankets, which may add the needed heavy pressure his/her body is looking for. The use of a natural supplement called Melatonin has also helped several children fall asleep easier. If sleep continues to be an issue for your family after trying the steps above, we’d love to work alongside you to make a good night sleep a reality for you and your family! Please look us up at www.horizonsdrc.com. Ask the Horizons Team: I have a teenage son who just cannot get up on time in the mornings.